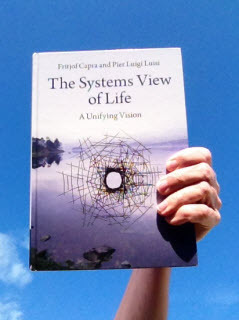 I finalized my review of Thy Systems View of Life: A Unifying vision by Fritjof capra and Pier Luigi Luisi this week. Here is my book review together with some additional thoughts. Chapter 3.6 on The machine metaphor in management and the mechanization of human organizations is directly related to my search for organizing orders. I found it very interesting that Max Weber (1864–1920) was “very critical of the development of mechanistic forms of organization in parallel to that of machines” already hundred years ago (p.58). Capra and Luigi emphasize that “trancending the mechanistic view of organizations” is critical, not only for the survival of organizations, but for “the survival of human civilization” (p.59). I also found it interesting that Norbert Wiener (1894–1964), who introduced the term cybernetics in the 1940s, made ”a clear distinction between a mechanistic model and the non-mechanistic living system it represents” (p.93). Ross Ashby (1903–1972), who was ”the leading theorist of the cybernetics movement” in the 1950s and 1960s, had, on the other hand, a ”strictly mechanistic outlook” (p.93). Similarly, I think it’s important to make a clear distinction between a systems model and the living system it represents. A systems model is an explicate order, while a living systems is an order of implicate orders. Capra and Luigi write that the ”spontaneous emergence of order at critical points of instability” is ”one of the hallmarks of life” (p.116). The ”understanding of pattern[s] is crucial to understand the living world” (p.126). I fully agree that understanding order is crucial to understand the living world. 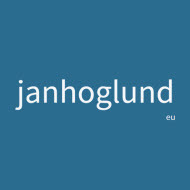 but maybe coherence, rather than emergence, is the hallmark of life? And maybe coherence is the hallmark of deeper generative orders for organizing too? Next week I will update my analysis and synthesis of organizing orders with input from The Systems View of Life. Here is my overview, here is my analysis, and here is my synthesis of organizing orders. Simon Robinson continues to provide helpful input and comments to my work. Here is one of Fritjof Capra’s recent articles on The Unification of Physics via Simon. Thanks Simon!